Dec 22, 2016 - copy (MRS) is being evaluated as a specific biomarker of prostate cancer, and ... using a hemocytometer after staining dead cells with trypan blue. ...... Stewart JD, Marchan R, Lesjak MS, Lambert J, Hergenroeder R, Ellis JK,. MI 48201, USA; Â§ Barbara Ann Karmanos Cancer Institute, Detroit, MI 48201, ... Keywords: Cathepsin B, bone microenvironment, prostate cancer, osteolysis,. Feb 22, 2016 - Glioblastoma cells are known to respond to various migration cues. ... the migration of neuroblasts along the rostral migration stream (RMS)5. 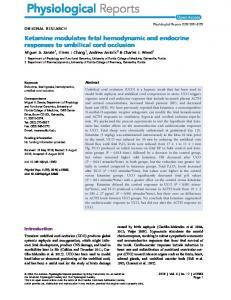 Dec 5, 2011 - responses to hypoglycemia are regulated by BAD, a BCL-2 family protein ... Intensified lowering of blood glucose reduces the risk of chronic. 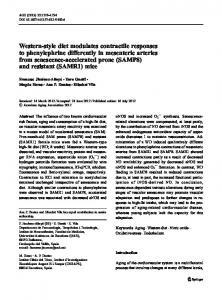 Jul 10, 2012 - to phenylephrine differently in mesenteric arteries ... alterations in phenylephrine contractions of mesenteric arteries from SAMR1 and SAMP8. any two of them form the sides of a parallelogram, and so the triangles formed by their upper points are congruent, see Figure 1b. Another deformation is .... 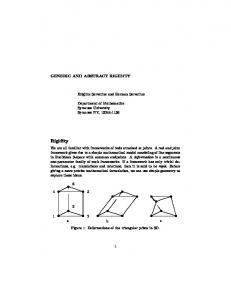 Example: The 2D framework of Figure 4 is infinitesimally rigid. If we have a flex, then, ..
Feb 24, 2011 - several microorganisms that are known to trigger skin allergies, such as ... TLRs in keratinocytes is essential for innate immunity of the skin. Apr 25, 2017 - within-word acoustic features, this allowed us to evaluate whether and ... S3 Fig). Next, to evaluate the impact of the sequencing context on ...... video monitor approximately 60 cm in front of the subject (24â Samsung, LCD). 2. MET: Hepatocyte growth factor receptor. TCP: Tissue culture plastic. PA: Polyacrylamide. IPTG: Isopropyl Î²-D-1-thiogalactopyranoside. AREG: Amphiregulin. efficacy of a HER2 pathway-targeted therapeutic via the mechanotransduction arm of the Hippo pathway. Keywords Breast cancer, lapatinib, YAP, TAZ, verteporfin, stiffness, elastic modulus, tumor microenvironment, mechanosensing. potential microenvironment characteristics that bear scrutiny in this drug response context. One of the major differences between TCP and 3-D Matrigel is the rigidity of the culture substrata. Thus, we examined whether rigidity is a modulator of responses to lapatinib, in the HER2-amplified breast cancer cells. The Young‟s elastic modulus (E[Pa]scals) of Matrigel has been estimated at 400 Pa (Soofi et al., 2009), on a par with normal breast tissue (Paszek et al., 2005). In contrast, the elastic modulus of TCP is in excess of 2 GigaPa (GPa) (Saruwatari et al., 2005; Levental et al., 2007), which is well outside the physiological range (Kolahi et al., 2012). To examine the role played by matrix rigidity in lapatinib responses, cell culture substrata were fabricated from PA gels, tuned to 400±160 Pa and coated with a type 1 collagen to support cell adhesion. HCC1569 were more sensitive to lapatinib on 400Pa PA gels compared to those on TCP coated with type 1 collagen, with 50±4.5% and 69±4.5% EdU incorporation, respectively (Figure 1, C and D); BT549 were not affected either by lapatinib or changes in rigidity (Figure 1, C and D). The half-maximal inhibitory concentration (IC50) of lapatinib was 3-fold lower on 400 Pa PA gels compared to TCP, 0.9 μM and 2.7 μM, respectively (Figure 1E). Thus, HCC1569 responded to lapatinib in an elastic modulus-dependent manner, showing greater resistance to the anti-proliferative effect of lapatinib on rigid matrices. YAP and TAZ are required for the modulus-dependent lapatinib responses. YAP and TAZ are Hippo pathway transcriptional co-activators that interact with the Rho/Rock pathway (Halder et al., 2012), and play an important role in transducing information about substrate rigidity from the plasma membrane into the nucleus, where a transcriptional response is generated (Dupont et al., 2011). Consistent with their role in mechanotransduction, YAP and TAZ relocated from the cytoplasm into the nucleus as substrata stiffness increased (Figure 2, A and B). We assessed the effect of YAP and TAZ knockdown by siRNA on modulusdependent responses to lapatinib. Both YAP and TAZ knockdown (Figure S1A) eliminated the modulus-dependent lapatinib resistance on TCP (Figure 2C). Disruption of the TEAD-YAP interaction with the 2 μg/mL of the inhibitor verteporfin (Liu-Chittenden et al., 2012) phenocopied the effect of YAP knockdown (Figure 2D). Indeed, increasing concentrations of verteporfin diminished the effect of modulus-dependent lapatinib resistance in a synergistic manner with lapatinib (Figure S2). YAP and TAZ were thus shown to be necessary for generating the modulus-dependent lapatinib resistance. decreased (p < 0.05) tumor volume (mean of volume, 770 mm 3) compared to group A. Both lapatinib treatment groups, either with (group D) or without IPTG treatment (group C), had much smaller tumor volumes compared to groups A and B. Group D, which received lapatinib and had reduced YAP levels, had the smallest tumor volumes (mean of volume, 192 mm3), even compared to group C (mean of volume, 269 mm3); however, that difference was not statistically significant. These data demonstrate that YAP knockdown was sufficient to reduce growth of HER2-amplified cell lines in vivo, and they suggest that YAP knockdown and lapatinib together may have some synergistic benefit. More comprehensive animal studies are required, however, to clarify the independent versus synergistic effects. Modulus-dependent lapatinib responses are driven by multiple factors. We sought to delineate other components of the molecular circuitry that enabled YAP to mediate the modulus-dependent response to lapatinib. Analysis of breast cancer data from The Cancer Genome Atlas data (Koboldt et al., 2012) showed that YAP mRNA expression correlated positively with expression of two known YAP targets CTGF, as well as with AREG (Zhang et al., 2009), which is an EGFR ligand that has been attributed with multiple roles related to tumor invasion and drug resistance (Hurbin et al., 2002; Higginbotham et al., 2011)(Figure S3). HER2 (encoded by ERBB2 gene) mRNA expression positively correlated with amphiregulin (AREG), inversely correlated with EGFR and ERBB3 mRNA levels. modulators were added concurrently with lapatinib: i.e. Verteporfin (VP, SigmaAldrich, St. Louis, MO, USA), was added at 0.2, 2, 10 μg/mL; recombinant human amphiregulin (AREG; Sigma-Aldrich, St. Louis, MO, USA) at 5 ng/mL; erlotinib at 1.5 μM. Tunable elastic modulus cell culture substrate fabrication Polyacryamide (PA) gels were polymerized on 12mm diameter coverslips etched with 0.1M NaOH, adapted from (Tse and Engler, 2010). 3% of acrylamide and 0.06% of bis-acrylamide were used to generate 400 (E(Pa)) PA gels. SulfoSANPAH (0.5 mM, ProteoChem, Loves Park, IL, USA) was added on PA gels and activated by UV light exposure for 10 min. PA gels were washed with HEPES buffer and then incubated with type 1 collagen at RT for 2 h (0.1mg/mL in 50mM HEPES, from calf skin, Sigma-Aldrich, St. Louis, MO, USA). Gels were rinsed with copious amounts of PBS prior to placing them in 24-well plates treated with polyHEMA (0.133mL at 12mg/mL in 95% EtOH, Sigma-Aldrich, St. Louis, MO, USA) for cell culture. Proliferation assay 5-ethynyl-2‟-deoxyuridine (EdU) incorporation and staining were performed according to the manufacturer‟s protocol (Invitrogen, Carlsbad, CA, USA). Nuclei were stained with Hoechst 33342. Images were acquired by Zeiss 710 LSM (Carl Zeiss) confocal microscope, and images were analyzed with Image J (NIH). Drug response values are expressed as a percentage of DMSO-treated cells. Transfection Cells were transfected with YAP, WWTR1 (TAZ), AREG, or non-silencing control siRNA (NSC) (SMARTpool: ON-TARGET plus, GE Dharmacon, Lafayette, CO, USA) with a FITC label (siGLO Green Transfection Indicator, GE Dharmacon, Lafayette, CO, USA), using DharmaFECT 2 Transfection Reagent (GE Dharmacon, Lafayette, CO, USA) according to the manufacturer‟s protocol, 72 h prior to assay performance. were used to establish the three classes: C > N ( X < -0.074), N = C (-0.074 < X < 0.074), and N > C (X > 0.074). Real-Time PCR Total RNA was extracted with Trizol (Invitrogen, Carlsbad, CA, USA) and purified by RNeasy prep (Qiagen, Valencia, CA, USA). cDNA was synthesized with SuperScript III RT (Invitrogen, Carlsbad, CA, USA). Transcripts levels were measured by quantitative real-time PCR (qRT-PCR) with iTaq SYBR Green Supermix (BioRad Laboratories, Hercules, CA, USA) and Light Cycler480 (Roche, Indianapolis, IN, USA). Primers sequences were: YAP 5‟AGCCAGTTGCAGTTTTCAGG-3‟ and 5‟-AGCAGCAATGGACAAGGAAG-3‟; TAZ(WWTR1) 5‟-GGAGAAAACGCAGGACAAAC-3‟ and 5‟TCATTGAAGAGGGGGATCAG-3‟; AREG 5‟-GTGGTGCTGTCGCTCTTGATA-3‟ and 5‟-ACTCACAGGGGAAATCTCACT-3‟; GAPDH 5‟AAGGTGAAGGTCGGAGTCAAC-3‟ and 5‟-GGGGTCATTGATGGCAACAATA-3‟. the secondary antibody on ice for 15 min. After 2 PBS washs, the level of AREG bound on cell membrane was measured with a FACSCalibur (Bekton-Dickenson). AREG ELISA The intracellular AREG protein level was measured according to the manufacturer‟s protocol (Abcam, Cambridge, MA, USA), after 72 h in HCC1569 cultured on 2D TCP and 400 Pa PA gel with YAP knockdown by siRNA. were followed according to the UCSF Animal Welfare Committee‟s approved policies and guidelines. Human Phospho-Receptor Tyrosine Kinase (RTK) Array HCC1569 were cultured on 400 Pa and 40 kPa PA gel for 48 h, treated with lapatinib (1.5 μM) or DMSO, and then harvested at 1 h or 48 h after lapatinib treatment. The phosphorylations of 49 different RTKs were measured according to the manufacturer‟s protocol (Cat # ARY001B, Lot # 1323072, R&D Systems, Minneapolis, MN, USA). Statistics Significance was considered p < 0.05 or better using T-tests and Pearsons correlations. Those tests and area under the curve calculations were performed with Prism (Graphpad). * p < 0.05, ** p < 0.01, *** p < 0.001. Competing interests The authors declare no conflicts of interest. participated in its design, and helped to draft the manuscript. All authors read and approved the final manuscript. heregulin-EGFR-HER3 autocrine signaling axis can mediate acquired lapatinib resistance in HER2+ breast cancer models. Breast cancer research : BCR 15. Yotsumoto, F., Fukami, T., Yagi, H., Funakoshi, A., Yoshizato, T., Kuroki, M., and Miyamoto, S. (2010). Amphiregulin regulates the activation of ERK and Akt through epidermal growth factor receptor and HER3 signals involved in the progression of pancreatic cancer. Cancer science 101, 2351-2360. Yuan, M., Tomlinson, V., Lara, R., Holliday, D., Chelala, C., Harada, T., Gangeswaran, R., Manson-Bishop, C., Smith, P., Danovi, S.A., Pardo, O., Crook, T., Mein, C.A., Lemoine, N.R., Jones, L.J., and Basu, S. (2008). Yes-associated protein (YAP) functions as a tumor suppressor in breast. Cell Death Differ 15, 1752-1759. Zhang, J., Ji, J.Y., Yu, M., Overholtzer, M., Smolen, G.A., Wang, R., Brugge, J.S., Dyson, N.J., and Haber, D.A. (2009). YAP-dependent induction of amphiregulin identifies a non-cell-autonomous component of the Hippo pathway. Nature cell biology 11, 1444-1450. Zhao, B., Wei, X., Li, W., Udan, R.S., Yang, Q., Kim, J., Xie, J., Ikenoue, T., Yu, J., Li, L., Zheng, P., Ye, K., Chinnaiyan, A., Halder, G., Lai, Z.C., and Guan, K.L. (2007). Inactivation of YAP oncoprotein by the Hippo pathway is involved in cell contact inhibition and tissue growth control. Genes & development 21, 2747-2761. Zustiak, S., Nossal, R., and Sackett, D.L. (2014). Multiwell stiffness assay for the study of cell responsiveness to cytotoxic drugs. Biotechnol Bioeng 111, 396-403. Figure 1. Substrata elastic modulus is a modifier of lapatinib responses in HER2-amplified cancer cells. Bar graphs show the relative incorporation of EdU expressed as a percentage of DMSO-treated cells in: (A) HCC1569 and BT549 cultured on 2D tissue culture plastic (TCP) dishes or 3D in Matrigel for 48 h, and then treated with lapatinib or DMSO for 48 h (n = 3, 500 cells/condition/experiment, * p < 0.05). (B) Representative images of HCC1569 and BT549 cultured on 2D TCP or in 3D Matrigel. EdU is pseudocolored red, and nuclear DNA is blue. (C) Bar graphs showing relative incorporation of EdU expressed as a percentage of DMSO-treated cells. HCC1569 and BT549 cultured on 2D TCP or 400 Pa polyacrylamide (PA) gels for 48 h, followed by lapatinib (1.5 μM) or DMSO for 48 h (n = 3, 500 cells/condition/experiment, * p < 0.05). (D) Representative images of HCC1569 and BT549 cultured on 2D TCP or 400 Pa PA gels. EdU is pseudocolored red, and nuclear DNA is blue. Scale bars represent 20 μm. (E) Dose-response curves used to calculate IC50 of lapatinib in HCC1569 cultured on 400 Pa PA gel (0.94 μM) versus 2D TCP (2.66 μM). (n = 3, 500 cells/condition/experiment, * p < 0.05). Figure 2. YAP and TAZ are required for the modulus-dependent lapatinib responses. (A) Representative images of HCC1569 after 48 h cultured on substrata of increasing stiffness: immunofluorescence stains represent YAP (green), TAZ (red), and nucleus (blue). Scale bars represent 20 μm. (B) Bar graphs showing the proportions of single cells in which YAP and TAZ were located in the nucleus, cytoplasm, or evenly distributed in both compartments, as a function of stiffness (n = 3, 100 cells/condition/ experiment, * p < 0.05). (C) Bar graphs showing the relative incorporation of EdU in HCC1569 cultured on 2D TCP and 400 Pa PA gel with YAP or TAZ knockdown by siRNA for 72 h, and then treated with lapatinib (1.5 μM) or DMSO for 48 h. Results are expressed as a percentage of cells treated with DMSO and non-silencing control (NSC) siRNAtreated cells (n = 3, 500 cells/condition/experiment, * p < 0.05), (D) Bar graphs showing relative incorporation of EdU in HCC1569 cultured on 400 Pa and 40 kPa PA gels for 48 h, and then treated with lapatinib (1.5 μM) together with verteporfin (2 μg/mL), or DMSO for 48 h. Results expressed as percentage of DMSO treated controls (n = 3, 500/condition/experiment, * p < 0.05). Figure 3. YAP knockdown has synergistic trend of inhibition with lapatinib in vivo. Tumor volume curves as a function of time and the summary table of area under curve (AUC) data for different treatment groups. The tumor volume was measured during the course of lapatinib treatment on mice that did not receive IPTG or lapatinib (group A), mice treated with IPTG only (group B), mice treated with lapatinib only (group C), and mice treated with lapatinib together with IPTG (group D). Bar graphs showing intracellular AREG protein levels measured by ELISA in HCC1569 with NSC siRNA or YAP knockdown by siRNA for 72 h (n = 3, * p < 0.05). (F) Bar graphs show the relative incorporation of EdU, expressed as a percentage of (DMSO and NSC siRNA)-treated cells in HCC1569 cultured on 400 Pa and 40 kPa PA gel with AREG knockdown by siRNA for 72 h, and then treated with lapatinib (1.5 μM) or DMSO for 48 h (n = 3, 500 cells/condition/experiment, * p < 0.05). 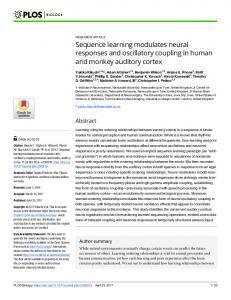 Report "1 Microenvironment rigidity modulates responses to ..."